A Vector Superhero made in a black and white style. This superhero illustration is made of vector shapes, so you can modify the shapes to fit your designs, but also this illustration comes for free download now. 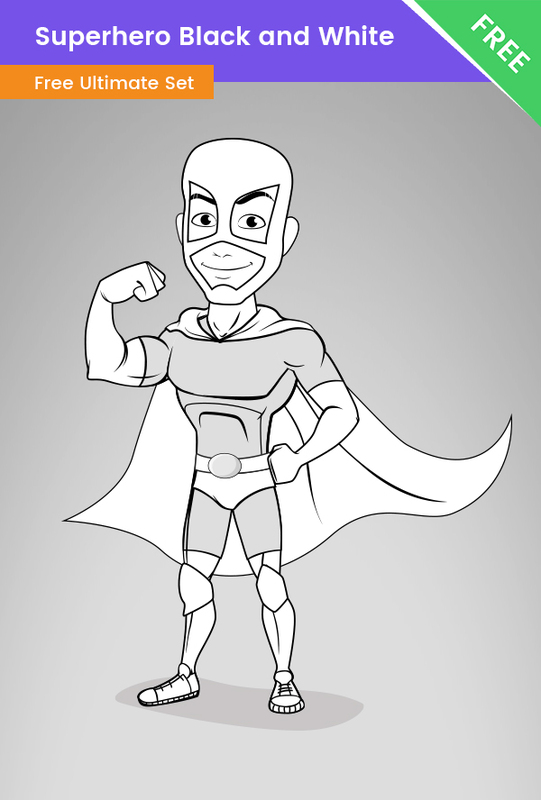 We’ve made this male superhero character in black and white, he has a great costume, a cape, and a mask. He is cheerful and friendly – perfect for any design.